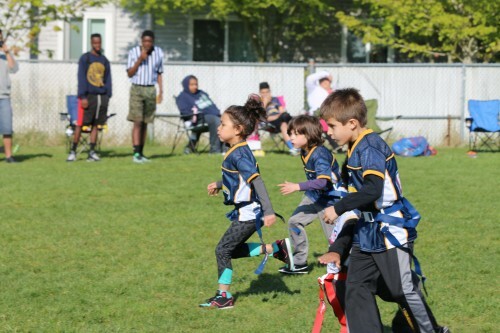 TULALIP – The Tulalip Boys & Girls Club flag football team the Chargers, ages 5 to 6, took on their first opponent on April 18, with a game against the Saints from the Everett Boys & Girls Club. No score was kept but the Chargers kept the Saints on their toes and performed beyond expectations. Great Job Chargers! Six spots are still available on the Chargers team. Head coach is Deyamonta Diaz and assistant coach is Selena Frajman. 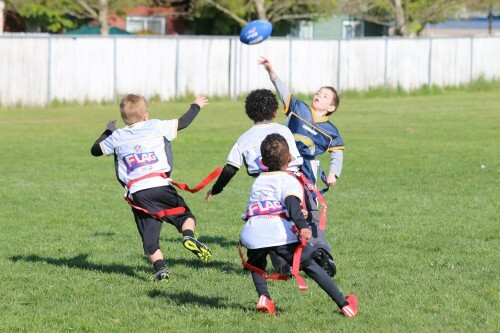 Practices are every Thursday, 4:30 -5:30 p.m., and Friday 5:30-6:30 p.m.
Tulalip Boys & Girls Club features five flag football team, one t-ball, one coach pitch and two volleyball teams. Flag football coaches are Michael Hunter, Aletha Tatge, James Madison, Jay Fryberg and Issac Elliot. T-ball coach is Charlita Davis with Gregory Moses coaching for coach and pitch. Jamie Orth and Becca Marteney coach volleyball. 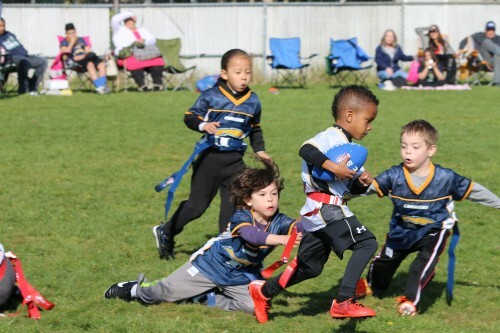 If you are interested in having your child join any of the available teams, please contact Tori Torolova at360-716-3400. Rooney has written other books highlighting regional artists in New England, the Mid-Atlantic, the Midwest and the South. 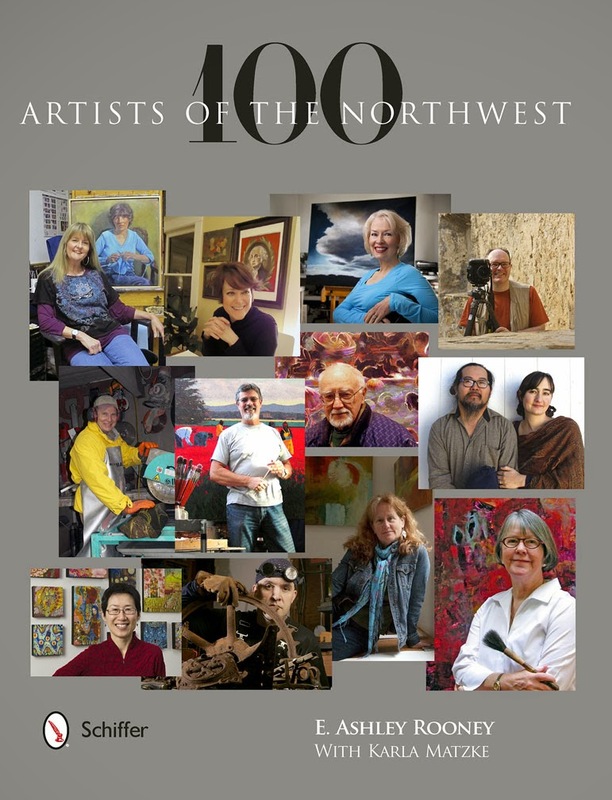 Beginning March 1, the Matzke Fine Art Gallery and Sculpture Park features 25 of the 100 artists featured in the Northwest book. A book signing, opening party and potluck goes from 4 to 9 p.m. Saturday. The gallery and park are at 2345 Blanche Way on Camano Island. People can see the show on weekends through April 13. The 25 artists showing represent the artistic vibrancy of the Northwest region, Matzke said. “Using paint, sculpture, glass, oil, clay, wood and other contemporary mediums, these 21st century artists combine, redesign, and transform their materials into pieces of works that change the way we perceive art in the Northwest,” Matzke said. The artists, including Matzke, are Sabah Al-Dhaher of Seattle, Liana Bennett of Bothell, Brian Berman of Bainbridge Island, Lance Carleton of Lake Stevens, Shirley Erickson of Bellingham, Kathleen Faulkner of Anacortes, Aaron Haba of Camano Island, Karen Hackenberg of Port Townsend, Phillip Levine of Burien, James Madison of Tulalip, Lin McJunkin of Conway, Merrilee Moore of Seattle, Richard Nash of Oak Harbor, Peregrine O’Gormley of La Conner, Doug Randall of Portland, Debbi Rhodes of Camano Island, David Ridgway of Bellingham, Sue Roberts of Guemes Island, Ethan Stern of Seattle, Donna Watson of Camano Island and Bill Wentworth of Poulsbo. The book, which includes a guide to galleries, sculpture parks, museums and schools, is available for sale for $38 at the gallery. On April 25, 26 and 27, Matzke will host her Stone Carving Workshop and Retreat for beginning carvers and more experienced sculptors. Instruction by master carver Alexandra Morosco will cover history, concepts, processes, techniques, materials and tools associated with the creation of three dimensional forms in stone. Register by March 1 at www.matzkefineart.com or call 360-387-2759. 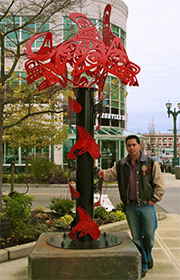 Tulalip artist James Madison is known for putting contemporary twists on traditional Salish and Tlingit Northwest Native Art. 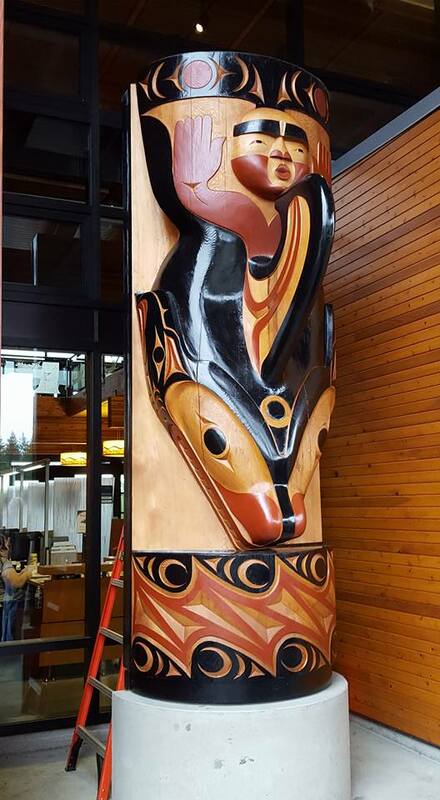 For instance, Madison will create an aluminum sculpture depicting salmon in a fish ladder that represents the life of the Snohomish people, one of the Tulalip tribes. Madison puts that modern twist on tradition in his upcoming exhibit, “Generations,” at the Schack. That exhibit will show Madison’s commitment to sharing traditional native art using a contemporary approach and it also honors Madison as the Schack’s pick for 2013 Artist of the Year. 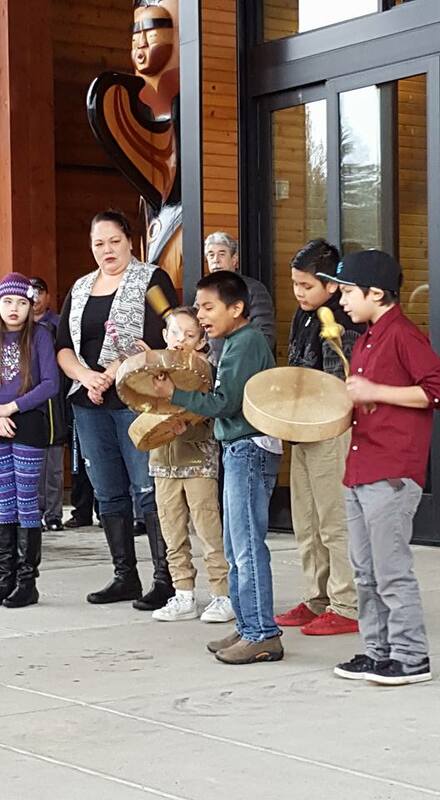 Madison was surrounded by art and the culture of the Tulalip Tribes as a child. At the age of 8, Madison learned how to carve at his grandfather’s kitchen table. Madison’s father, an abstract painter, encouraged Madison to try sculpting. And his uncle, a teacher, shared stories of American Indian culture. Madison said these influences led to his intense interest in art and his native heritage. Madison’s work can be seen beyond the Schack. 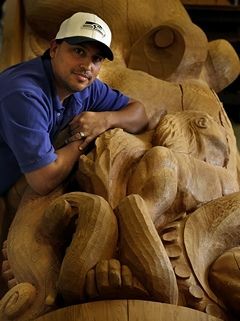 He is best known for large-scale pieces, including a 24-foot story pole, at the Tulalip Resort and Casino. He has pieces displayed at many of Washington’s state parks, as well as museums and galleries in New York, Alaska and Canada. “Generations” opens with a catered reception from 5 to 8 p.m. Aug. 15 and is on view through Sept. 21 at Schack Art Center Main Gallery, 2921 Hoyt Ave., Everett. For more information, go to schack.org or call 425-259-5050. 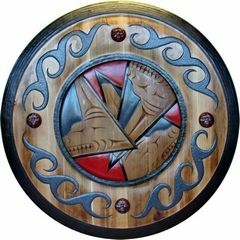 TULALIP, Wash.- Recently Providence Medical Center and Tulalip Tribes have been strengthening their relationship so that both may benefit; staff at Providence will have more knowledge about what tribal member’s needs are in times of crisis and tribal members will feel more at ease while in the their care. The old surgery waiting room has been remolded and is designed to accommodate traditional practices when tribal members are hospitalized. 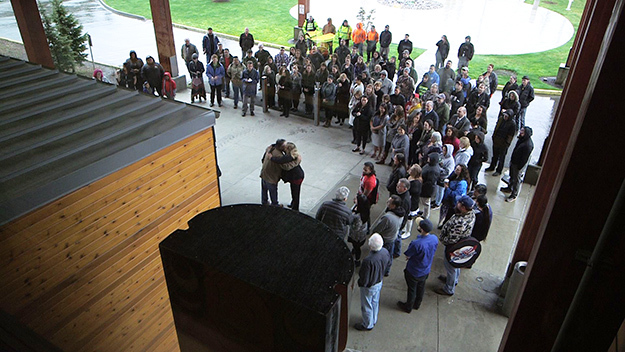 The new room called the Tulalip Community Room has been set-aside for tribal members to use and features a variety of sitting areas, a TV, phone, a small kitchenette, a computer with Internet access. 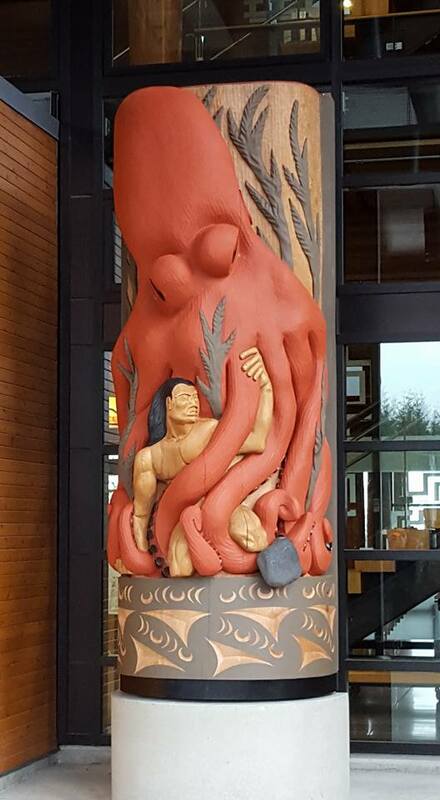 The room also features elegantly carved art pieces by James Madison and Joe Gobin that decorate the walls, and a large timeline of Tulalip Tribes history welcomes visitors as they walk in. Tulalip Community Room is designed to provide comfort and privacy for family members and space to accommodate large gatherings. “Especially in crisis time, all of our friends and family want to be there to give them [each other] a handshake, a hug. That’s how we are during crisis,” stated Don about the larger and quieter rooms. 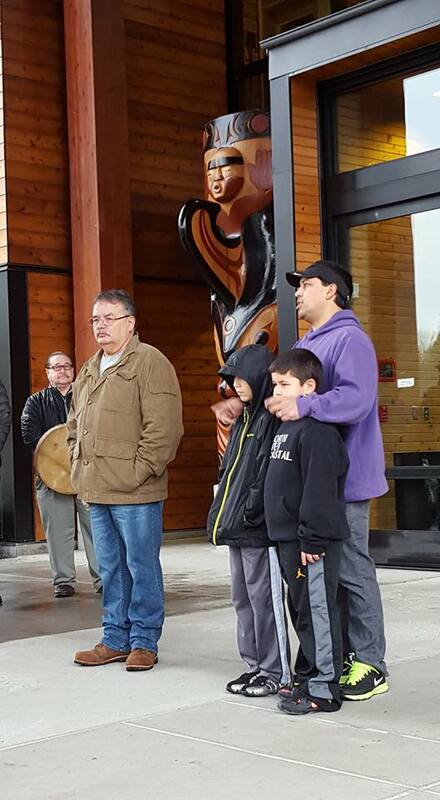 Tribal member Dale Jones reads the Tulalip Tribes Past & Present timeline piece. 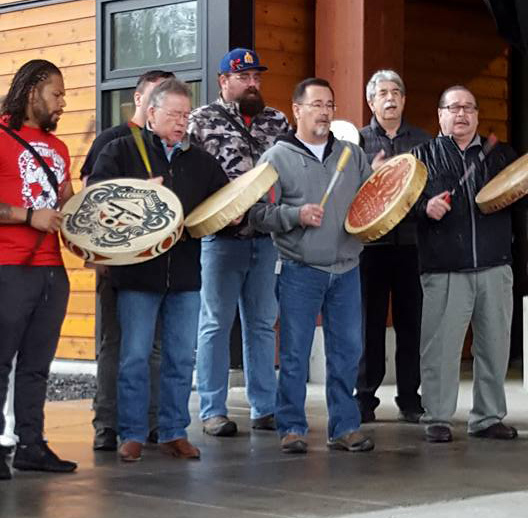 Providence and Tulalip plan to meet every six months in order to address any underlying issues that may occur while tribal members are hospitalized.